An actor becomes a Star in the hearts of millions not just because he is an excellent actor on screen but because for the reason he doesn’t act off screen. All the way in an actor’s career, the characters he plays in movies makes a huge impact on the fans that somewhere along the line they starts believing that those characters are original character of the actor. His fans see him, adore him, and worship him through the characters he portrays in his movie. Many adore him as a Brother, many adore him as a style icon, many as a lover boy ,many as their Thalaiva. But when a glimpse of these Actors’s original face gets to be seen, the die-hard fan gets the shock of his life. He comes to realize that his Star is a good actor both onscreen and off screen. And its other way around for actors who are popular for doing menacing roles on screen but turn out to be angels in real life, with my limited knowledge for example, Nambiaar sir and my dearest Raghuvaran sir. But there are rare actors who remain the same in both dimensions. Vijay is one actor in my experience. Last day of the shoot in Coimbatore for the movie Sachien. And it was a hectic day as the shoot started even before the sun rose and ended when the sun was snoring. The whole unit had left for Chennai while Vijay and myself stayed back to catch the next day’s early morning flight. It was almost two o clock when we said good night or rather good morning and hit the bed, and I started dreaming of my doorbell ringing… but it wasn’t a dream. Outside my door was Hotel’s lobby manager standing tensed. He went on to tell how couple of girls who were ardent fans of Vijay were waiting outside to meet their star. Feeling ridiculous about the timing of their visit, I said how someone can meet someone at this wee hour. As the manager took me to the reception, what I saw there left me speechless. Vijay came out in few minutes and man I will tell you, that was one of the most genuine emotional moments I have come across in my life. More than a fan moment it was a sister, brother moment for her. The girl for those brief moments must have forgotten her illness seeing her Star in real. My question was how she knew Vijay would see her at that odd hour? Being next to him for almost a year even I was little skeptical. 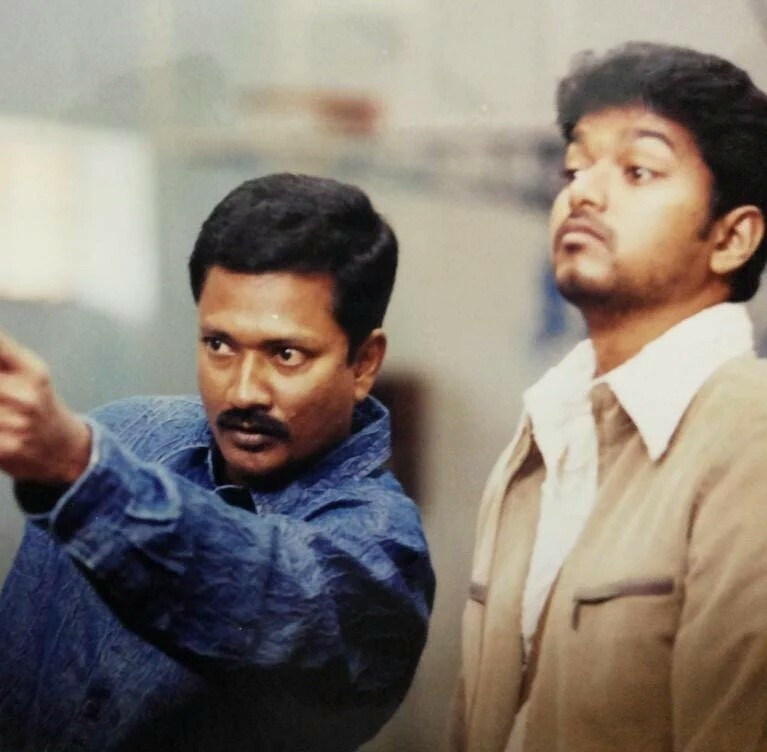 That very moment I realized why Vijay had gained such a huge fan following in a short span of time. The only difference is that he wears makeup when it comes to movies, but his character remains the same in Reel and Real life.